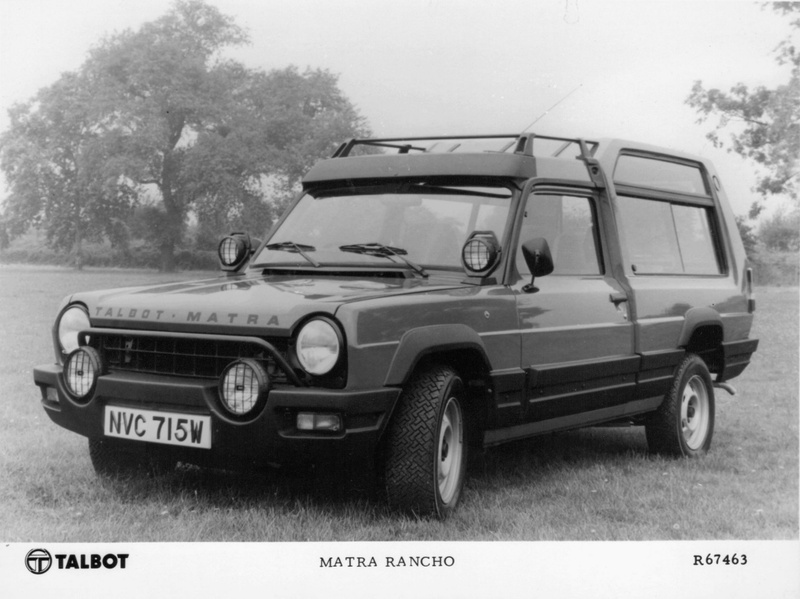 The Matra Rancho. If you’ve never seen one before, just one look will tell you that this is a tough offroad vehicle that can go absolutely anywhere. And that one look would lead you to absolutely the wrong conclusions. Despite its rugged looks, the Rancho was basically just a two wheel drive pickup truck with a fibreglass body on the back. With no more off-road capabilities than any other standard late 1970s car, the Rancho promised something that it didn’t deliver. But what it did eventually deliver was no less important. A brief history lesson – Matra was an industrial combine with a profitable line in armaments that almost accidentally became a car manufacturer by taking over sports car builder Automobiles René Bonnet. Matra’s main interest may well have been the use of fibreglass in the company’s Djet two-seaters, but this blossomed into motorsport (winning both the Formula One Drivers’ and Constructor’s championship in 1969), the 24 Hours of Le Mans in 1972, 1973 and 1974 plus a host of other racing trophies. The road car division continued to make sports cars including the novel Matra Bagheera and Murena which featured a single row of three seats. Matra ended up in partnership with the Chrysler-owned Simca company to sell the Bagheera and Murena. 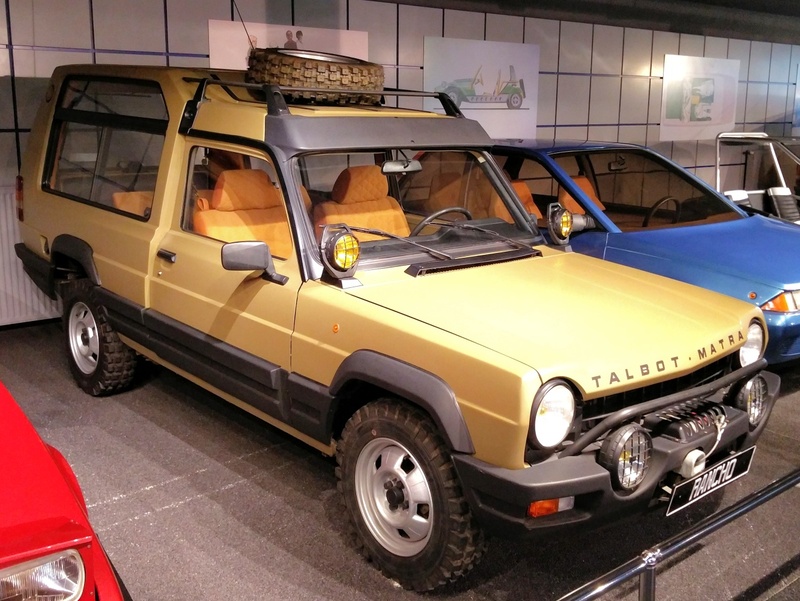 Matras expertise in prototyping and fibreglass led to a new project that was quite a radical departure – the Matra Rancho. The Rancho was designed by Matra’s chief designer Antonis Volanis, as were the Bagheera and Murena. The inspiration for the Rancho was the Range Rover, launched in 1970. Even then the Range Rover was an expensive and thirsty beast, and Matra thought that they could deliver a lot of the same things (looks and lots of space) for a lot less money. The compact Simca 1100 hatchback was the basis for this, although strictly speaking Matra standard with a pickup variant. Onto the back of the chassis, Matra attached a large cab made primarily from fibreglass with lots of glass. It had a split tailgate (like the Range Rover) and lots of black plastic to make it look rugged. 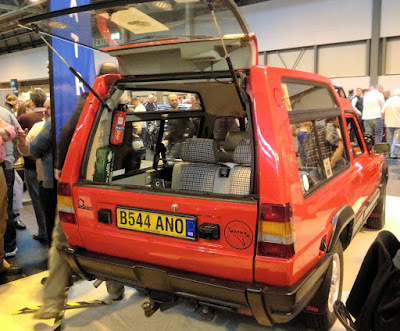 In optional seven seat form the Rancho was arguably the first MPV, and this hybrid of normal car and off-roader could be argued to be the first Crossover too. The 80 horsepower engine didn’t have anything like the punch of the Range Rover’s 130 HP v8, but where the Range Rover weighed over two tons the Rancho came in at just 1130 kilos. With an array of spotlights on the front, an integrated roof rack above the driver’s seat and a practical interior which was quite nice by 1970s standards, the Rancho did have a lot going for it. It had its flaws. The two-wheel drive system was exactly the same as you’d find on a normal Simca 1100 hatchback, and ground clearance was a lot more limited than it looked. But perhaps the worst problem was rust – pretty much everything rusted except for the fibreglass (a problem that also drove the Bagheera to near extinction). 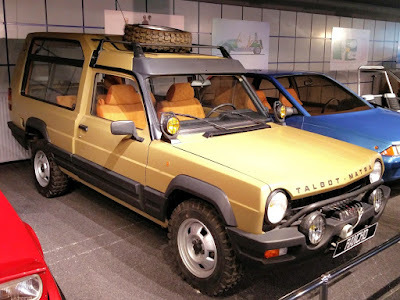 Over 56,000 Ranchos were built, first as the Matra-Simca Rancho and then the Talbot Matra Rancho when Chrysler sold its European operations to PSA (Peugeot Citroën). Although thousands were exported to the UK, as of 2017 there are only three left on the road. You would be hard pressed to find one for sale anywhere in the world, but they do occasionally come up for a few thousand euros each. Many of the ideas of the Rancho were incorporated into Matra’s next production car – the Espace. Although the Espace was originally designed for PSA, it ended up as a Renault and because the world’s first purpose-built MPV (unlike the van-derived Rancho). The Espace was a huge success for Matra, but eventually Renault took the production in house. This move stripped Matra of a successful product, and with a final swansong of the Avantime they ceased car production in 2003. These days compact crossovers with rugged looks, lots of space but limited off-road capabilities are very common, but you are more likely to see the Matra name on one of the electric bikes they currently manufacture... or perhaps the wrong end of a guided missile. Like many automotive innovators, Matra missed out on the market it helped to create.